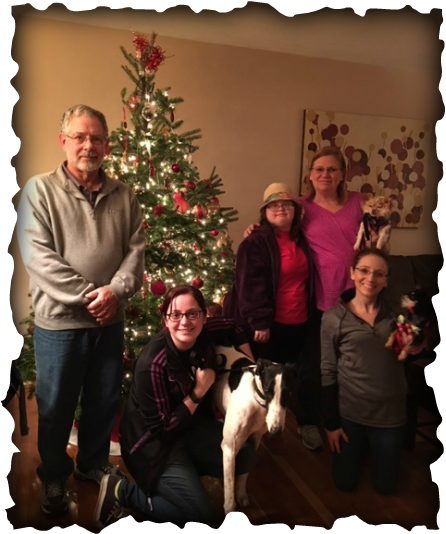 Rico's Barry found his forever home in Delhi with Amanda who applied with us, she has always wanted a greyhound and her entire family is happy to add him to their loving family, Don, Amanda, Donna, Judy and Michele. And fur kids pictured, Oliver and Olivia who may not be so thrilled right now. But we all know with a little effort the dogs will become good friends.